Throughout his life, the Indian philosopher and activist Mahatma Gandhi wondered if the world after his death will follow his quote in which he assured that “The best way to find yourself is to lose yourself in the service of others.” However, he never imagined that decades later, people would still passionately follow his lead. 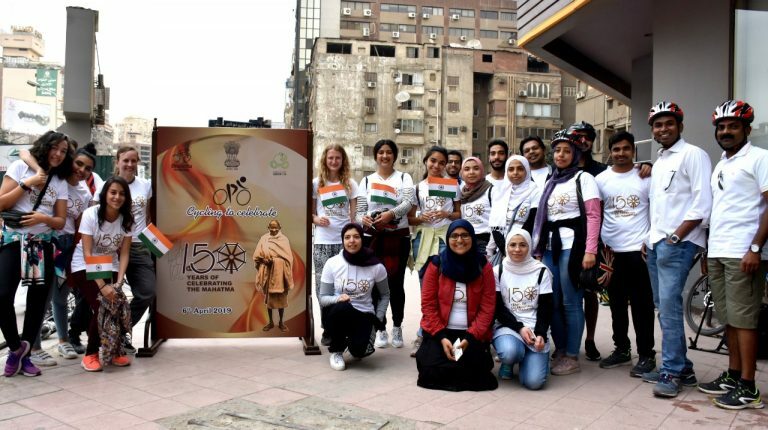 Celebrating his 150th birth anniversary, the Indian embassy in Egypt organised a cycling event in Zamalek and Dokki districts with the help of Cairo Cycling Geckos, a team of female cyclists in Cairo, and distributed food and other supplies over the less privileged. 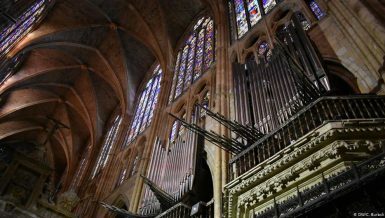 The tour aims to spread the Gandhian messages of the need for a healthy and environment friendly lifestyle as well as compassion towards the poor. It is one of a series of cultural events held by the embassy to commemorate Gandhi’s life and ethics. “We have been organising many events to celebrate his life and ideas. Gandhi supported compassion and women empowerment. Through this event, we celebrated his principles through this female cycling team who are used to do charity in their events, and distribute food over the needy people,” said Kshitij Tygai, political secretary at the embassy. 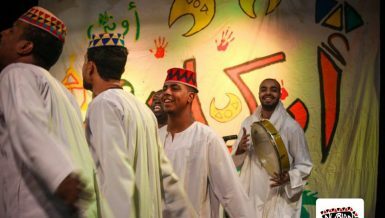 “Today we accomplished our great mission for the 150th anniversary of Gandhi! 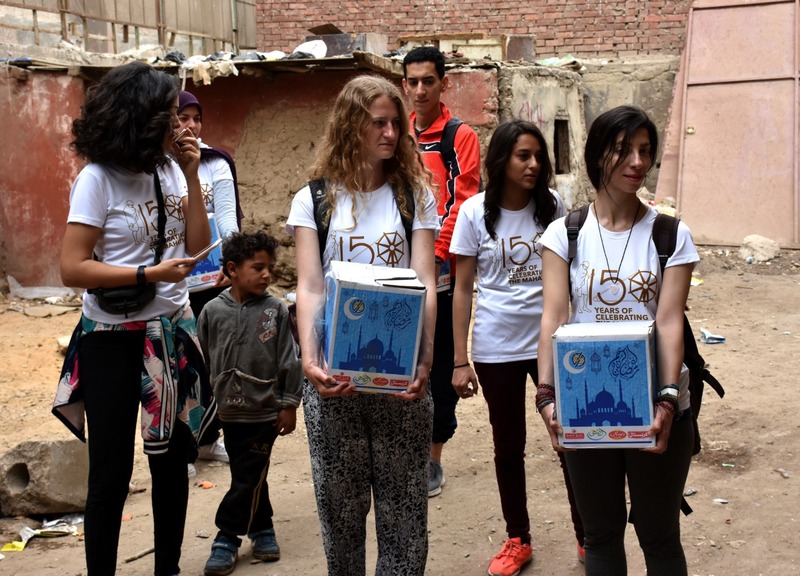 50 families in Boulaq [in Giza] received food supplies this morning by our amazing volunteers!” the official Facebook page of the cycling team stated. 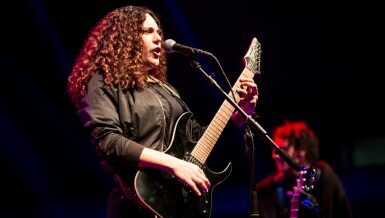 Earlier this year, the Indian ambassador in Egypt, Rahul Kulshreshth, handed Reem Ezz El-Din, an Egyptian singer, a gratitude letter from the Indian Minister of External Affairs, Sushma Swaraj, in appreciation of her efforts in commemorating Gandhi’s 150th anniversary. Ezz El-Din was one of the artists who revived Gandhi’s memory through singing his favourite song, Vaishnav Jan To Tene Kahiye, (A Good Person) written by the Hindi poet Narsimha Mehta, alongside 123 other singers from all over the globe in a musical contribution dedicated to the Indian icon.